Carry the essentials for surviving (or just snacks) in this retro metal lunch box featuring an upgraded handle and an amazing embossed design of a bloodied survival kit. 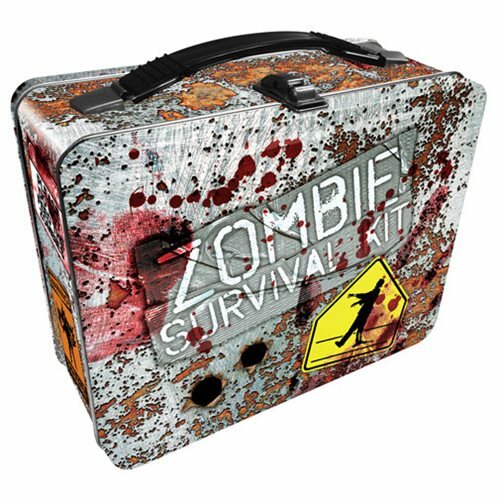 The sturdy Zombie Survival Kit Gen 2 Fun Box Tin Tote measures approximately 8-inches wide x 7-inches tall x 4-inches deep. Ages 13 and up.